Out of the many benefits of meditation, we personally think the most common use of meditation in our busy lives, is probably to reduce stress and to slow down in the "rat race" or just get off the hamster wheel for 10 minutes! Giving yourself 10 minutes every morning to focus on your breath, clearing our minds from any agendas or things that need to be done, helps to slow down the nervous system and sets up the day - more focused, intent and calm. How many times have you had a major decision to make and someone said to sleep on it? Same logic! Greater mental clarity is crucial for everyone, but especially for those who are entrusted with making difficult strategic decisions that could affect the future of the company. Big or small, you want to have clarity on your business decisions and reduce your risk. Meditation can leave you feeling much more in tune with not only your emotions but also the emotions of others. By paying attention to their body language, facial expressions, overall vibe, and energy level, you can avoid tense situations and avoid knee-jerk reactions. By demonstrating greater empathy, creates more connection to colleagues and employees. Emotional intelligence is so vital in bringing out the best in people where they feel valued, appreciated, empowered, etc. By being in tune with the present you can be hyper-focused on the current needs of the business while avoiding unnecessary distractions. By being disciplined every single day, this “focused” behaviour becomes the norm over time: efficiency and effectiveness are maximised. How many of you have envied that sharp person in the room who can rattle off names, numbers, and facts without hesitation? In business, it is important to be on your toes and able to respond quickly. Also, the simple act of remembering people’s names can go a long way in business. Through meditation, remove the clutter from your mind, and focus your memory towards important things that matter. Omega-3’s and daily brain exercises also help! Everyone wants to be “seen” and “heard”… Meditation can help you listen more attentively; seeking to understand. Increased Listening fosters a safe environment where colleagues or employees can talk openly to about how others are affecting them or how the demands of the job are weighing on them, trust is built and communication improves. Everyone should maintain a sense of purpose and value in their lives. The answers lie within us, and by silencing our minds we connect to the source. Through meditation, we find clarity in our sense of purpose and we declare the vision for our lives. Towards that end, the work that we do every day becomes more meaningful and we exemplify passion and creativity at powerful levels, inspiring others to do the same. The positive energy we put out can have a huge impact on those around us. It is the duty of any leader to maintain control of their emotions, thoughts, and feelings; acting from our highest self at all times. 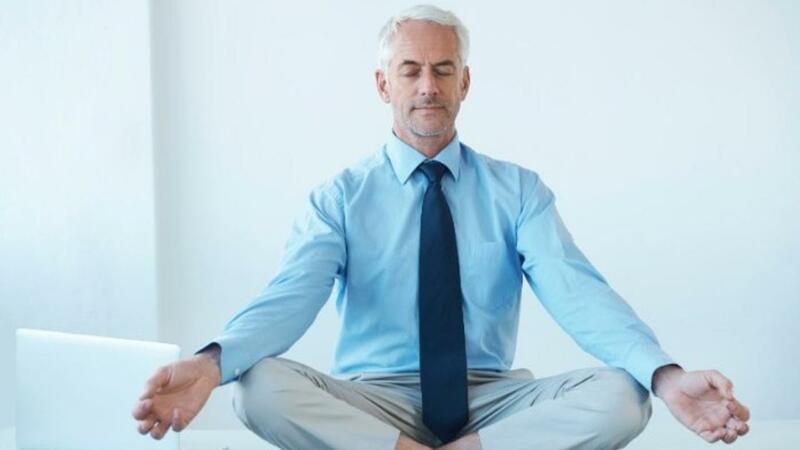 Meditation can definitely help you become a better leader within your team and company, purely by being more aware of your own emotions, thoughts, and judgments about certain topics. If you do not meditate (yet) we would encourage you to take up the practice! We have used apps like "Headspace" and "Calm" which give you handy reminders to take time to meditate during the day as well as some positive and supportive information to help you to reduce stress and become more mindful daily. Why not do something "mindful" today, like taking a walk in nature?